ONEONTA – Meg Hungerford, City Hall’s finance director who was twice considered for city manager during her decade here, has resigned, according to City Manager George Korthauer. The resignation is effective at the end of the month. No interim director has been appointed by the city; Korthauer said her duties will be divided among her staff while City Hall prepares a search. 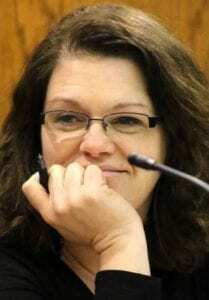 In addition to her role as Finance Director, Hungerford also serves as acting city manager. She has been active in the role twice; the first, following the retirement of Mike Long and the second after Common Council suspended Martin Murphy. She was considered for the top job, but failed to meet qualifications contained in the City Charter: one, she was not a resident and, two, she didn’t meet the educational requirement of an MPA.